Tattoos incorporating fire or flame into the design look fantastic, and with the occasional exception, are part of a combination of tattoo themes, rather than a standalone image of fire. But even on those occasions, the tattoo is designed in such a way as to make it appear to be incorporated into and part of something bigger than itself. 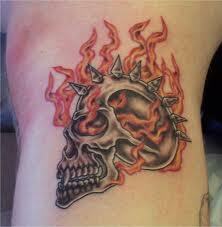 As with many tattoo designs, fire or flame tattoos are placed on many parts of the body, and there really isn't a favorite location for those choosing this theme. I think that's because a flame can be designed in any number of ways, which makes it much more versatile than some tattoo choices which are limited by the subject matter. When you see some of the combinations chosen to be included with fire, I think you'll be surprised, as in some cases there aren't any obvious reasons for them to be included together other than the evident desire of the recipient of the tattoo design liking it. Of course many tattoos are very personal, so we, in most cases, really aren't aware of why it is they made the decision and what the meaning is. But I think that's great for tattoos, as it offers up some interesting images that most of us would have never thought of, and generates unique design ideas. 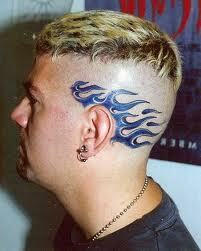 With this first flame tattoo, we see one of the few I found that stood on their own. In this case, the color blue is the differentiator, as well as the placement, which is unique, to say the least. 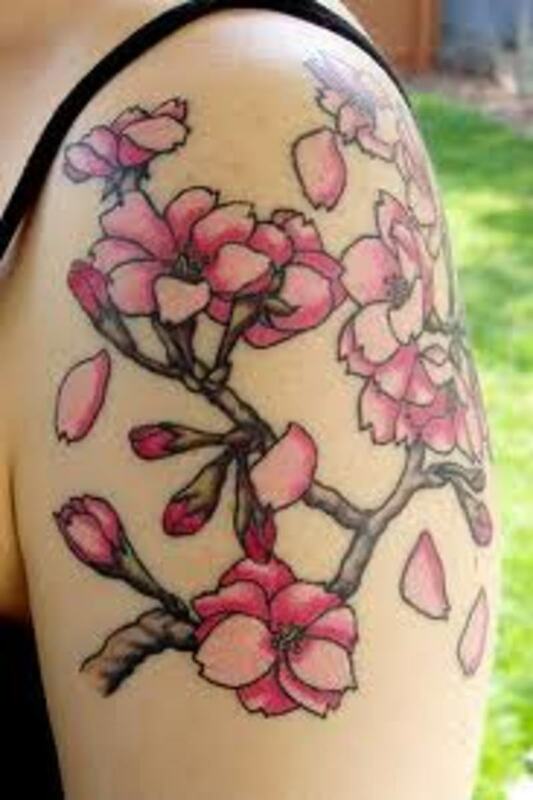 As for the design itself, I really like it. The placement obviously is very risky. Obviously he left himself the option of growing his hair over it if he wants to. But how about when he gets older and doesn't have as much hair? Here is one of those tattoos that must have a private meaning, as the fish hook and fire don't really have any obvious connection. Since I really like fishing though, the fish hook is very cool to me. 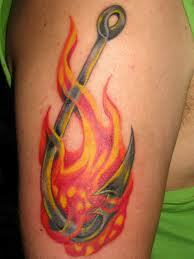 The flames wrapping around the shank of the hook looks great. Dandelions, for most of us, were a big part of our childhood, as we'd grasp the flowers when they were going to seed, and shutting out admonitions to not blow on them because they would produce more of the unwanted flowers, we puffed out our cheeks,. Although it may not be obvious to the uninitiated, the fire tattoo below does include several elements, as the photo headline implies. What's great is the way it seamlessly works together as an uninterrupted design. 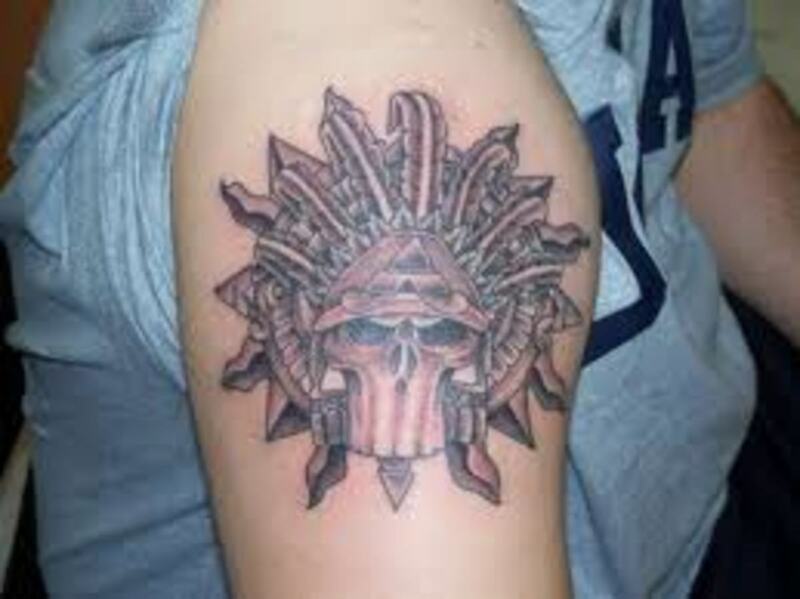 As written in the headline, it's a combination of a tribal, fire and arm band design. Nice. 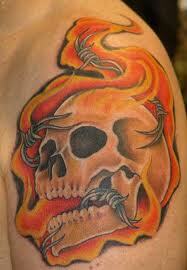 If there was any tattoo fire theme that predominated, I would have to say it would be the skull and fire design. There were quite a number of them, and I don't recall seeing any images that were represented more than these two. The bottom one is interesting in that it includes barbed wire coming out of the skull's mouth. 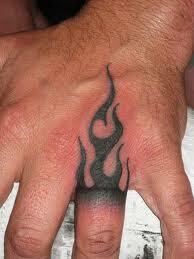 This flame finger tattoo is very appealing to me. The dark color is great, and the way it appears to flicker up the hand looks very compelling. Simple but very effective design. Bet it hurt to have it inked in that sensitive area. Maybe someone looking at this tattoo understands what it means. I don't. 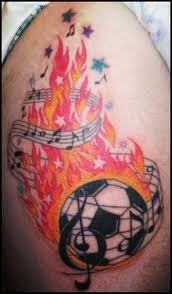 The musical notes combined with the fire and football or soccer ball left me clueless, although I enjoyed the tattoo on its own. 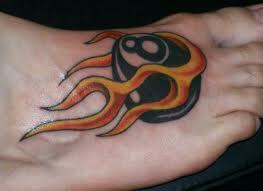 The image itself is great with the eight ball and fire tattoo below. Placing the tattoo design on the foot was an interesting decision, as it's not always the easiest place to see a tattoo. I would have preferred it in a more obvious place because it is a unique and good looking design. 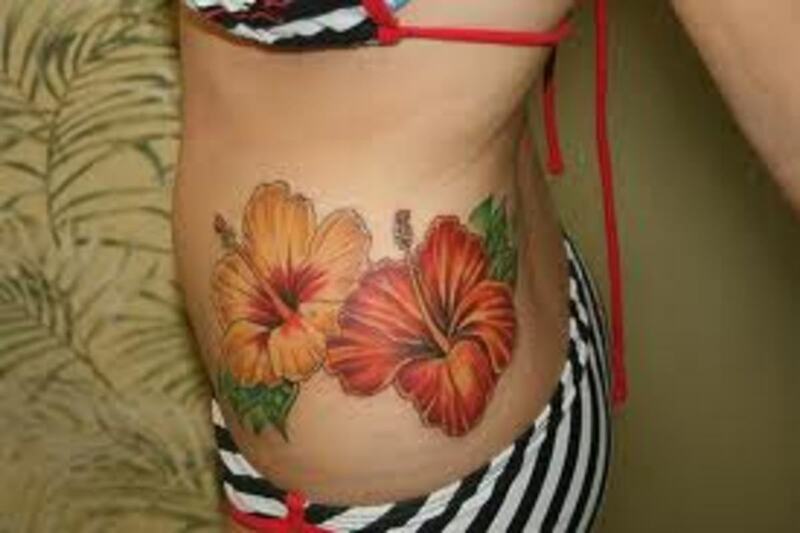 After looking at the fire and flame tattoo designs, you can see much of it is very personal, and as in most cases, based upon something personal in relationship to the person receiving the tattoo. 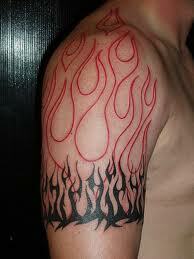 With fire, the difference is it's not easy to ascertain what exactly it is that is so personal, as it is with a number of other tattoo design choices.